I've been at this a long time, and this is, bar none, the strangest election I've ever covered. Jim Kenney, a guy with hardly any money, practically stumbles into the opportunity to run at the last minute and somehow bests a popular former DA and a state senator with both racial math on his side and friends who have money to burn. Anthony Williams ran a bad campaign. The state senator picked long time friends and associates to staff his campaign when he should have gotten experienced political professionals. His team was consistently a step or two behind events, and his commercials somehow missed the mark. Williams himself turned out to be a weak, unfocused candidate. I hung with him for an afternoon two Saturdays back, and it was probably the most enjoyable time I spent on the campaign. He was interesting, likable and relaxed, and maybe that's a problem. He didn't show the kind of intensity you see in a candidate driven to win. And while he's smart and can be a rousing orator, he often speaks in shorthand and mixes too many ideas together. He somehow couldn't quite deliver a clear, effective message. Education, so important to everybody, didn't matter that much. Every candidate had something to say, and nobody was convincing. A real, honest debate about new directions never happened, so most voters decided on other things. The pro-charter, pro-voucher money behind Williams did energize the teachers' unions, and that mattered a lot to Kenney (see below). Kenney had a great team, mostly assembled by Ken Trujillo, the candidate who suddenly bailed for personal reasons in January. The mix was there; just add money and stir. Media consultant Ken Snyder, campaign manager Jane Slusser, finance director Vaughn Ross, spokeswoman Lauren Hitt (is that a great name for a flak or what? ), and policy director Jim Engler performed extraordinarily well. Kenney was a disciplined, focused candidate. He didn't sound like Jack Kennedy on the stump, but he gave clear, direct, answers to questions, kept his notorious temper in check, and calmly repudiated past positions that were harmful to his message. 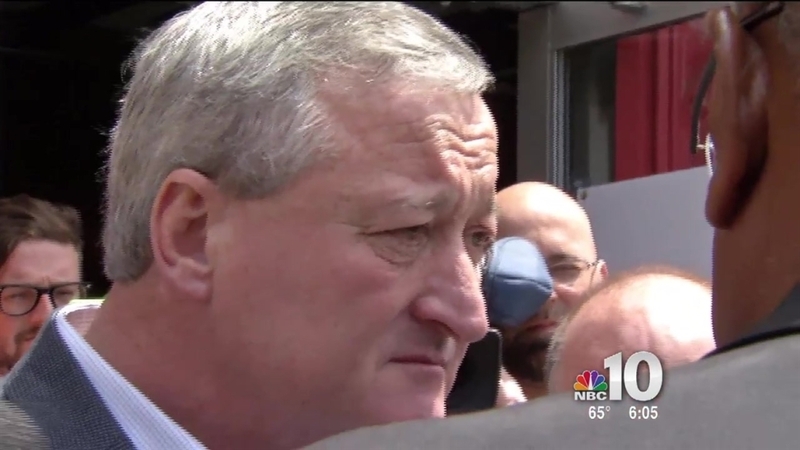 Kenney got historic support from African American leaders in the city, and it mattered. An elderly African American woman in the 50th Ward told me she'd voted for Kenney, and when I asked why, she said it was because officials she believes in stood up for him. "They gave me a lot of information prior to the election," she said. "[Councilwoman Marian] Tasco said she sat beside him for 23 years. I take her word for it." Kenney got the endorsement of five elected officials in Northwest Philadelphia in April, and Council President Darrell Clarke and State Senator Vincent Hughes late in the campaign. Williams failed to connect solidly with black voters. I wish I understood this better, but it was clear from his ads and those of his super PAC that they weren't polling well enough among his base. Maybe Williams rubbed some other black leaders the wrong way in the past. The president of the Black Clergy organization that endorsed him told me Williams had alienated people. Maybe the early ads that emphasized Williams' connection to his prominent father made him seem entitled, rather than someone carrying on a proud tradition. A couple of people told me he seemed aloof. Whatever, something didn't work. Unions roared. Unions have always left their mark in Philadelphia politics. But they weighed in this year on a staggering scale. The electricians union gave $450,000 to a Kenney super PAC – a figure I have never seen anything close to before – and it wasn't even the largest contributor. A New Jersey Carpenters' fund was good for $725,000. Williams' backing from school choice advocates brought the teachers' union in big against him, along with other public employee unions. Kenney's Super PACs outperformed Williams' Super PACs. Kenney's super PAC's spent over $2 million on ads for him. The pro-Williams super PAC will probably approach $6 million. But the Kenney super PAC ads, done by two Philadelphia media firms, were effective. The ads for American Cities, the Williams' super PAC funded by three wealthy suburban donors, fell flat. And the fact that the richly-endowed American Cities never attacked Kenney, even when Williams was behind, left many wondering why. Lynne Abraham's campaign was too late, too little and too narrowly centered around her to ever get much traction. She's an appealing figure, but to make this work, she'd needed to start much earlier, raising money and gathering allies. The Abraham campaign had the feel of a small, sole proprietor enterprise that would never really grow. Given the Democrats dominance in Philadelphia, Kenney is all but certain to be the next mayor. But School Reform Commission member and former City Councilman Bill Green, who's registered as an independent, could conceivably make a run of his own in the general election. I can't see how he'd have a chance, but when I spoke him on the air last night, he wasn't ruling anything out.